One of our installation with a product from Park line - Gerbera. Our playground featuring climbable house with platforms, walls climbing, entrance ramp and slide. Sounds fun? Sure! Time for play. Park line is a typical series for the public outdoor spaces. Park's devices consisting of elements as roundabouts, swings, seesaws, net structures and climbing frames. 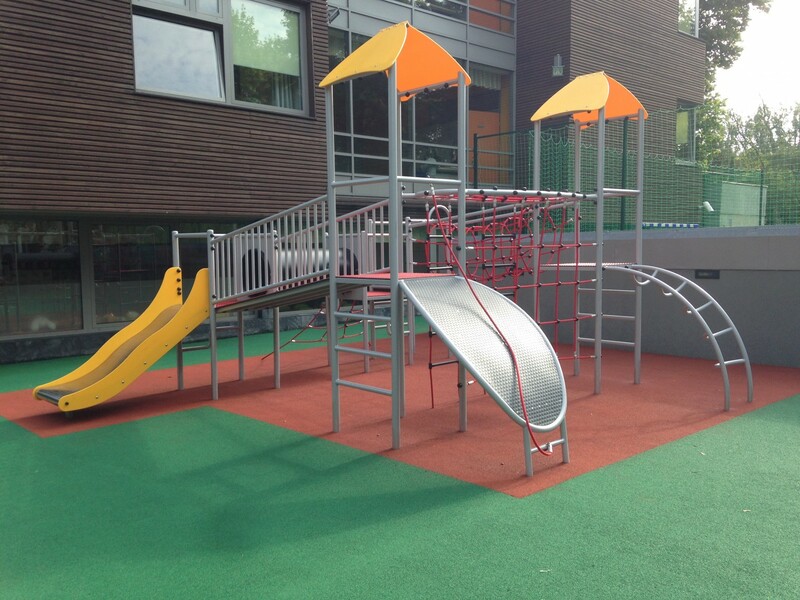 All facilities are made of galvanized steel, then powder painted which help to provide stability and longevity for any playgrounds.